You can't run a high-performance organization on spreadsheets alone. Real-time performance improvements and insights are achieved through operational excellence, improved capability, and confidence. But what do you do if the world is moving at 100 miles per hour and your employees are only prepared to move at 60 miles per hour? That's what our performance improvement solutions are all about. 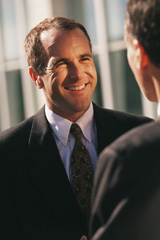 New Century Management's expert consultants know how to increase your competitive advantage through your employees. New Century Management will ensure that our solutions are cost-effective, targeted, measurable, and aligned with your existing policies and procedures.